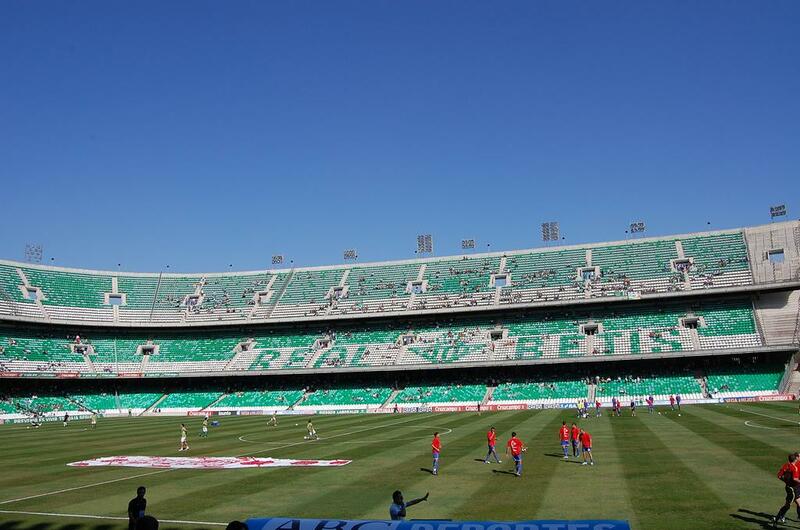 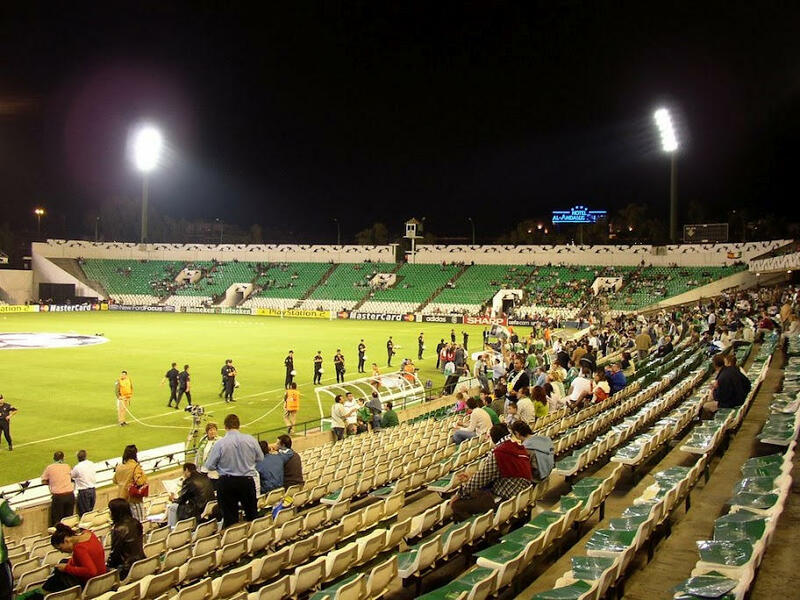 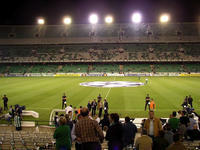 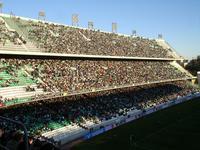 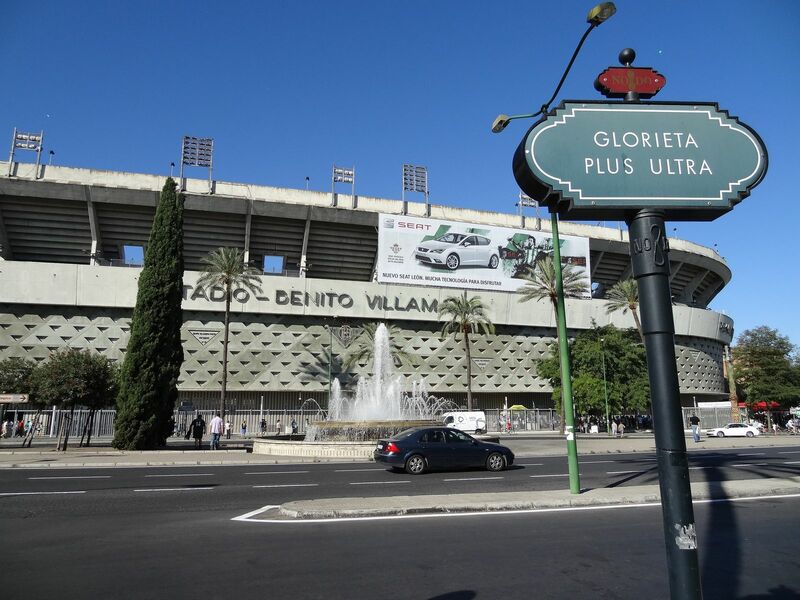 Real Betis started playing in this location in March 1929, when the ground's name was still Estadio de Heliopolis. 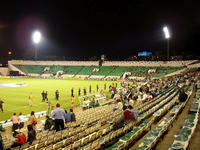 After numerous revamps no remains of the old stands can be seen though, just as the name has changed a couple of times. 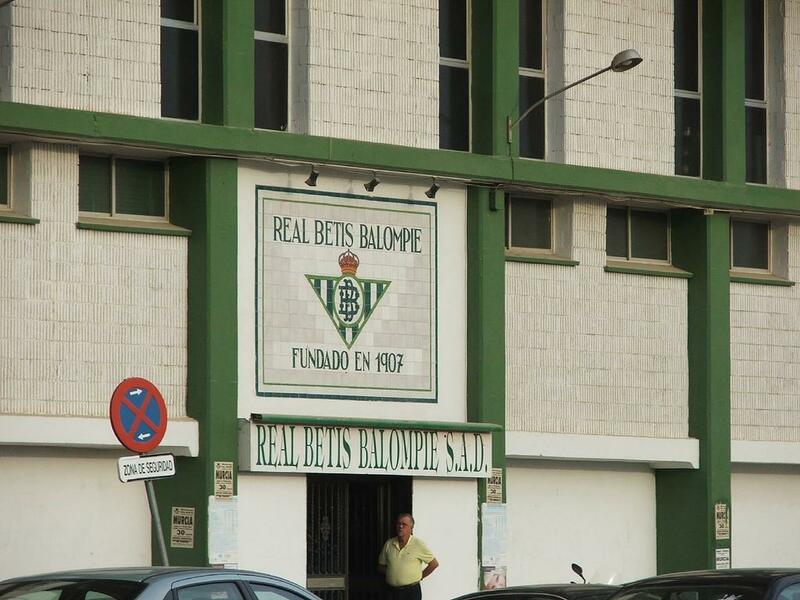 Already in 1929 Benito Villamarin was given patronage of the venue. 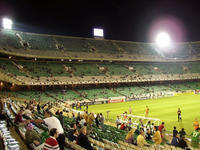 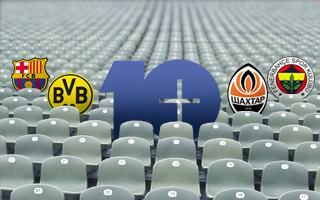 At that time there were two stands alongside the pitch. 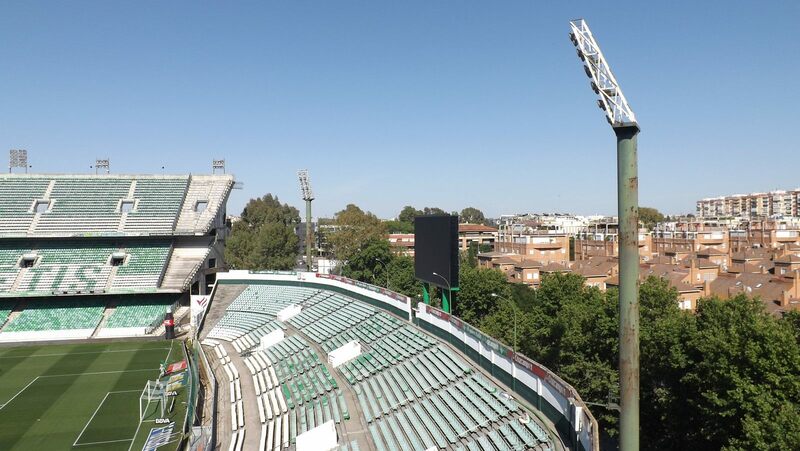 That changed in 1959 with erection of two end stands. 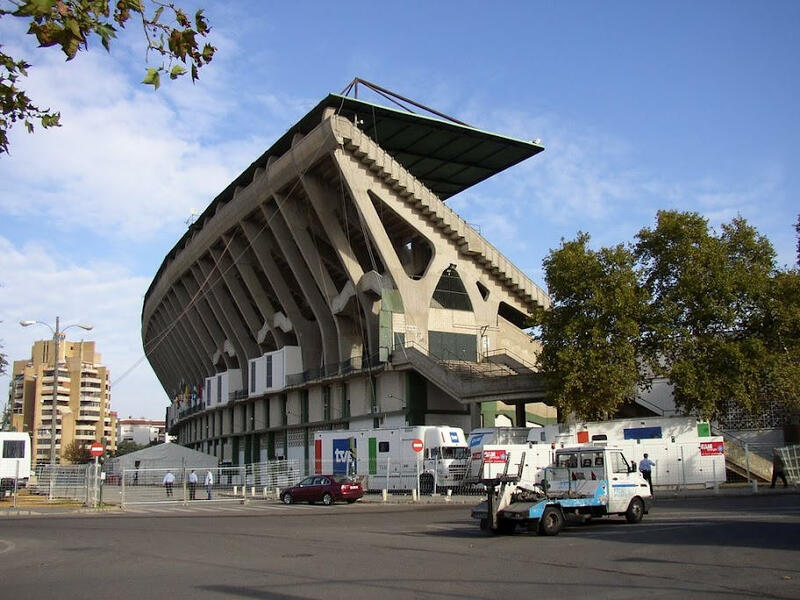 Complete redevelopment started in 1970's, when Spain was chosen as host to 1982 World Cup. From 1971 to 1982 each side of the pitch changed its appearance and for two games of the WC the ground accommodated 47,500 fans of whom 21,000 could seat, the remaining stands offering terracing only. 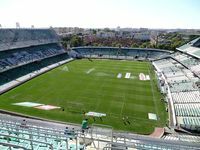 Along with drastic increase in regulations by UEFA and domestic authorities in 1990's, decision was made to redevelop the ground yet again. 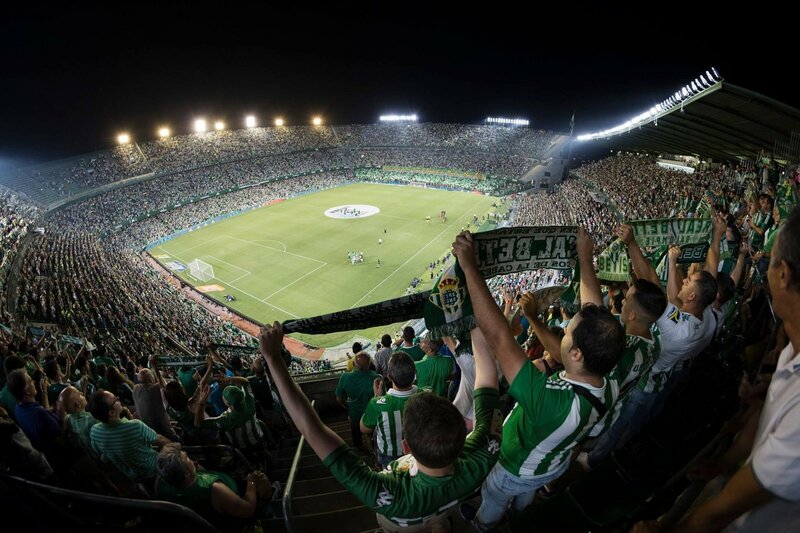 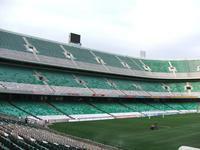 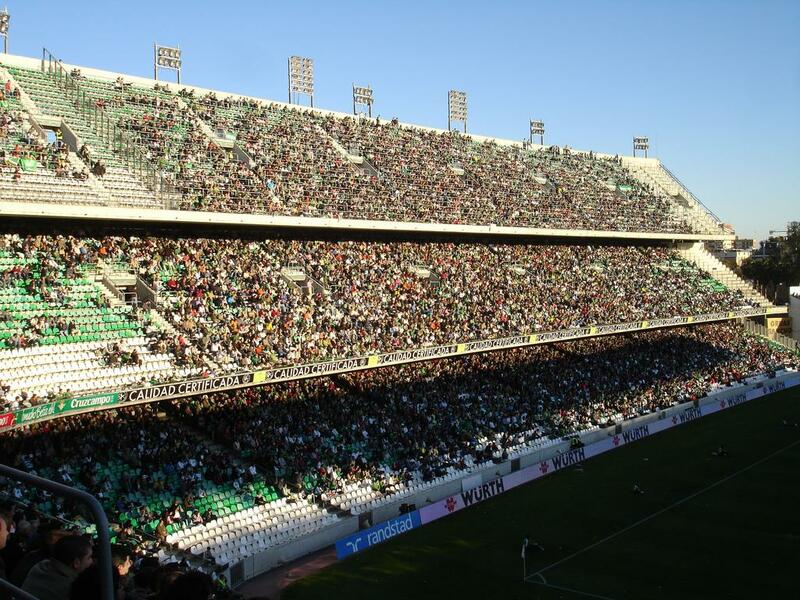 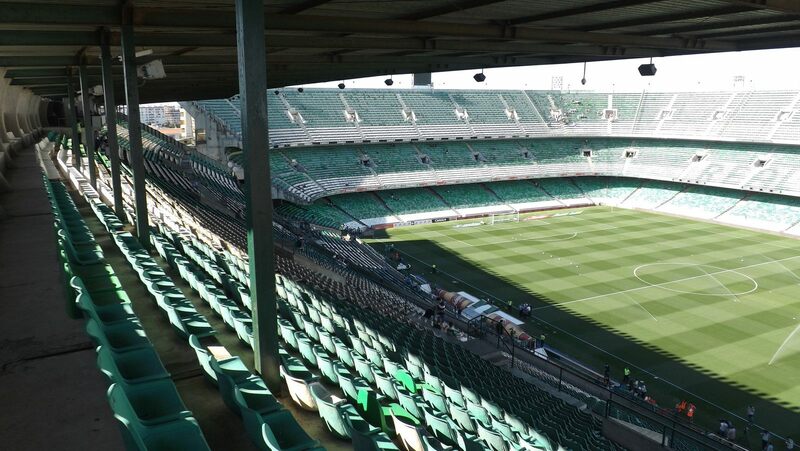 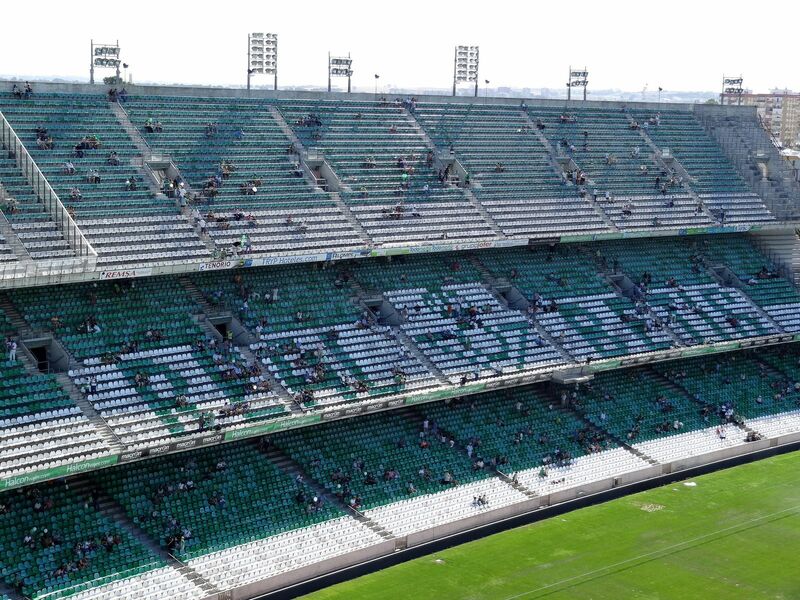 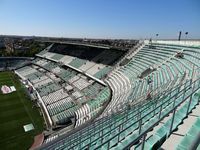 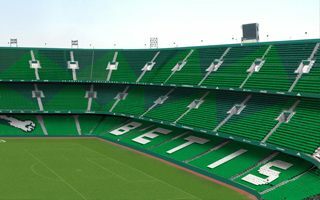 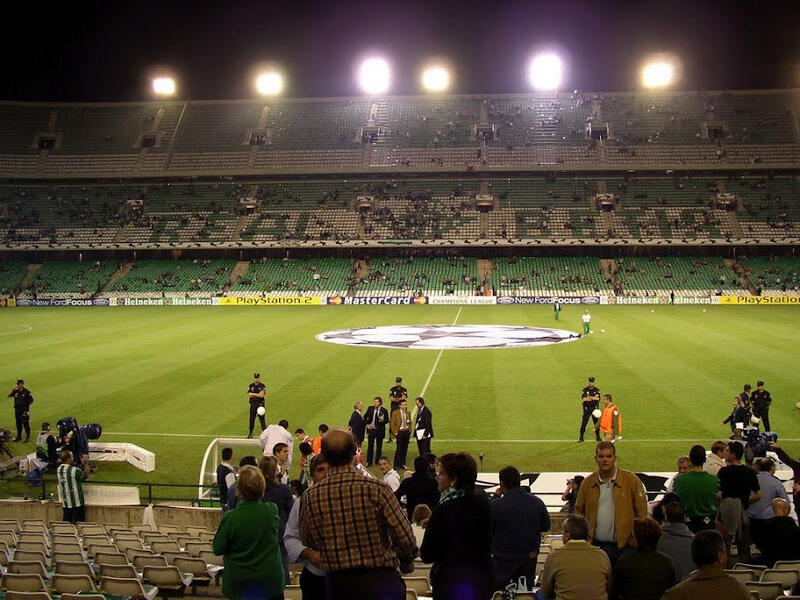 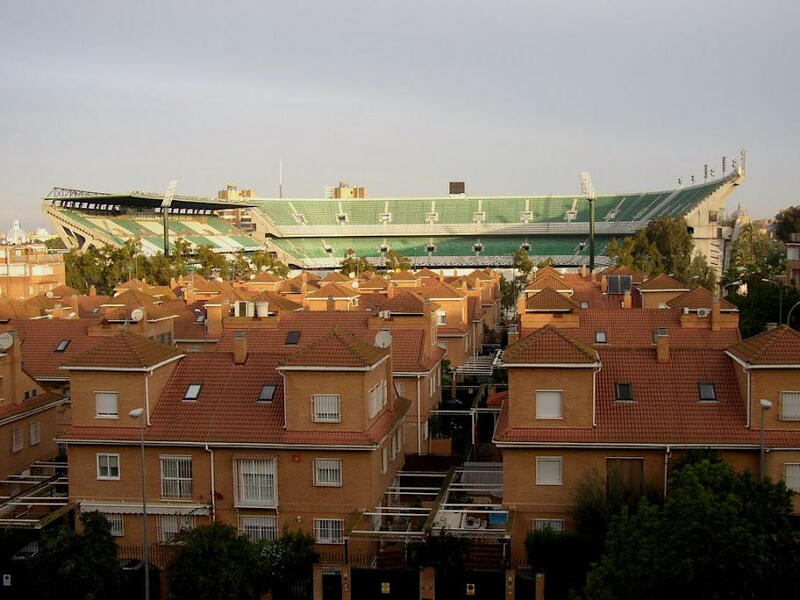 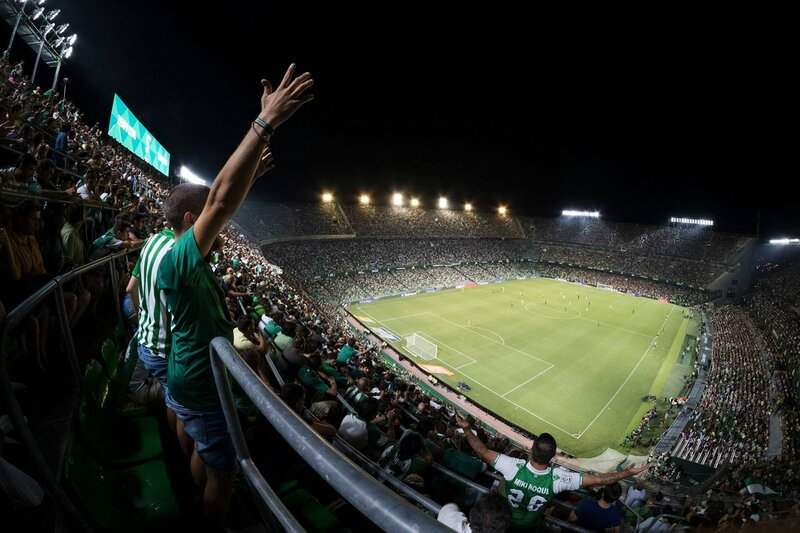 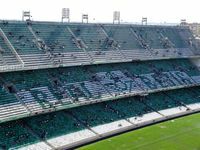 Three rings of seating were supposed to be built, giving a huge number of seats (64,000) to allow Betis to compete with largest Spanish clubs. 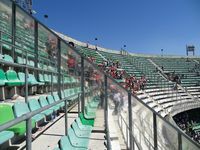 However the plan wasn't implemented all the way with one side staying with one tier only and all but the main grandstand uncovered. 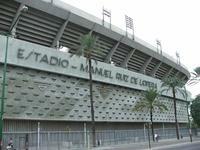 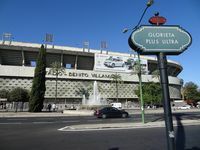 In 2000, when the club has great ambitions and was rebuilding the stadium, vote among fans brought name change to honour father of that success, Manuel Ruiz de Lopera. 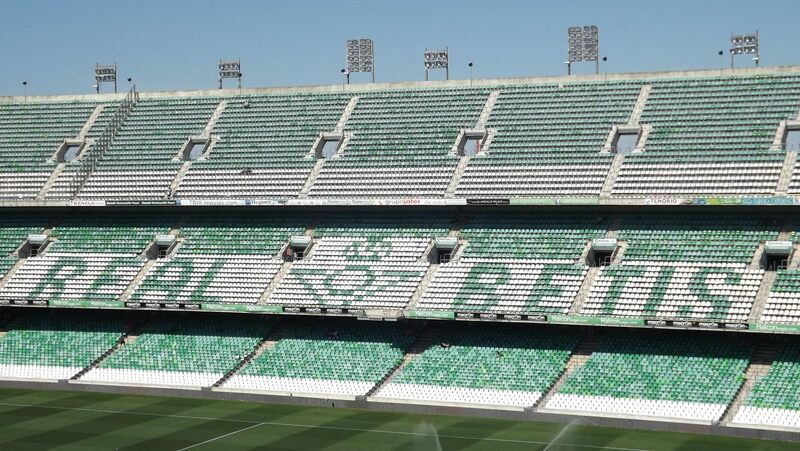 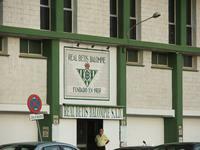 However, after the plans being done only half way and financial demise of Betis sympathies have changed xompletely and another vote in 2010 brought back Villamarin as patron. 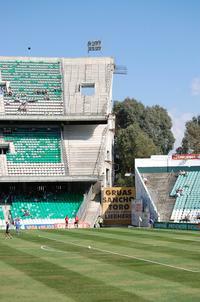 In 2016-17 the long-desired south stand finally grew, replacing the old terrace built back in 1972. 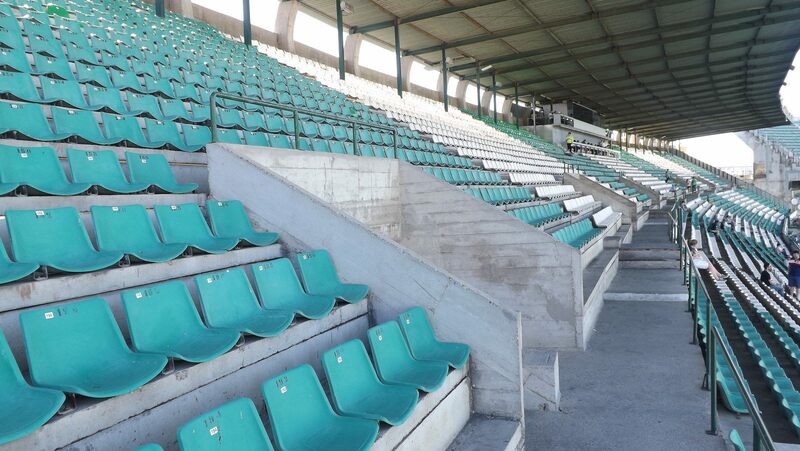 With three main tiers of seating it joined the east and north and also provided private boxes to corporate clients. 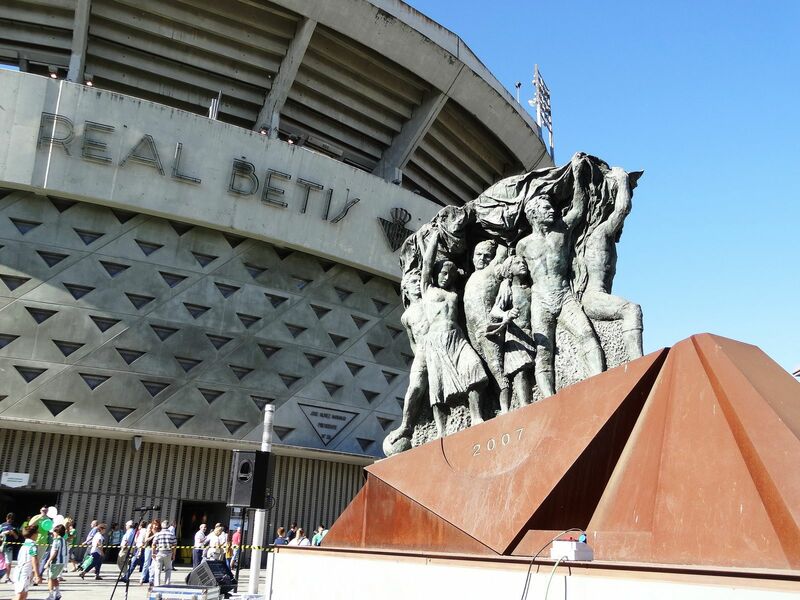 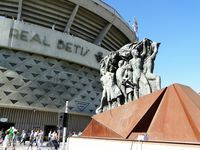 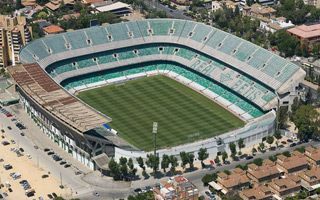 With new capacity behind 'Gol Sur' of 14,243 seats the stadium became third all-seater to break 60,000 in Spain, though it was soon surpassed by Atletico Madrid's new home. 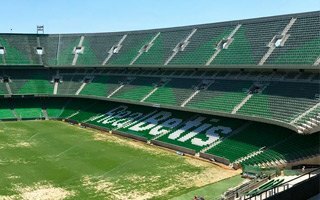 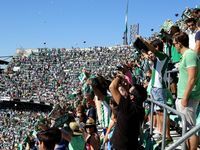 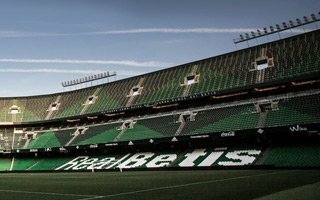 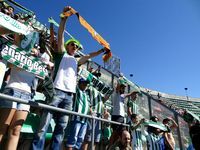 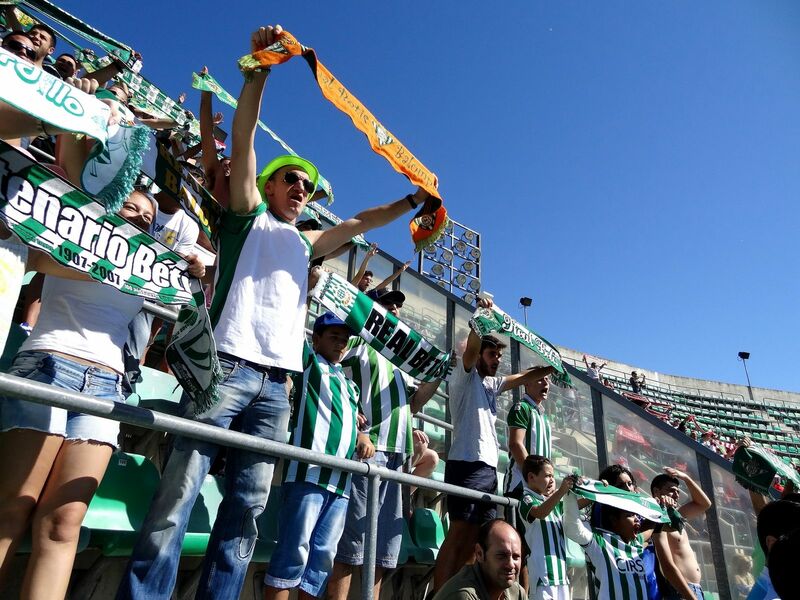 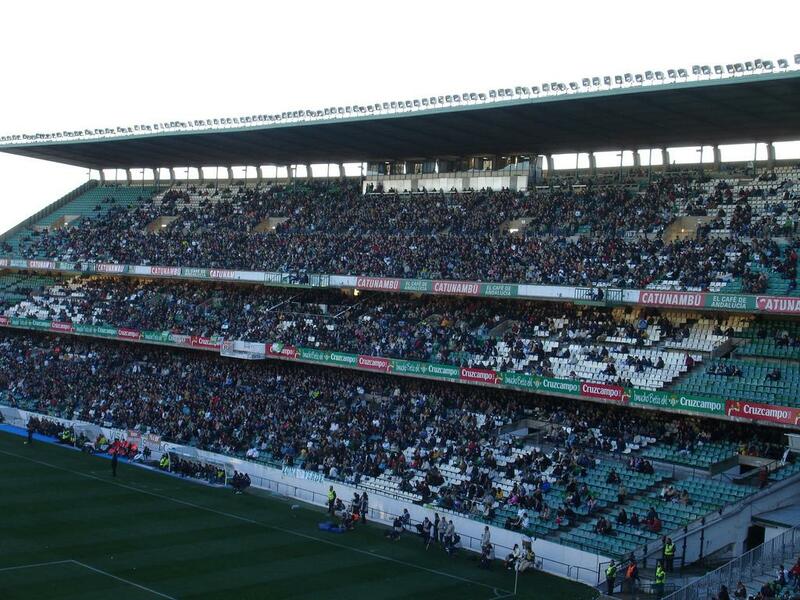 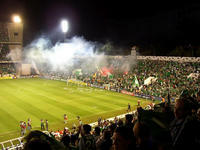 They were due to repay it within two years from construction delivery, now Betis want to get 5 more years. 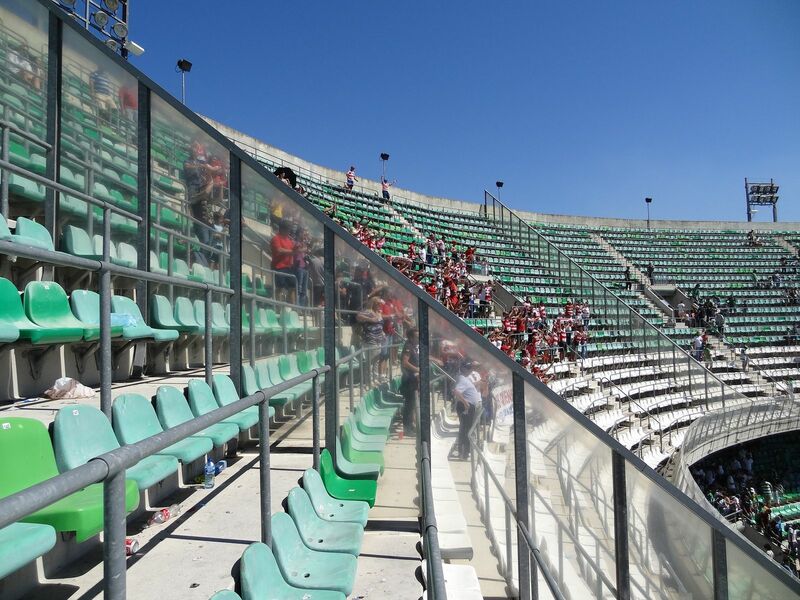 This way the new south stand would actually pay for itself. 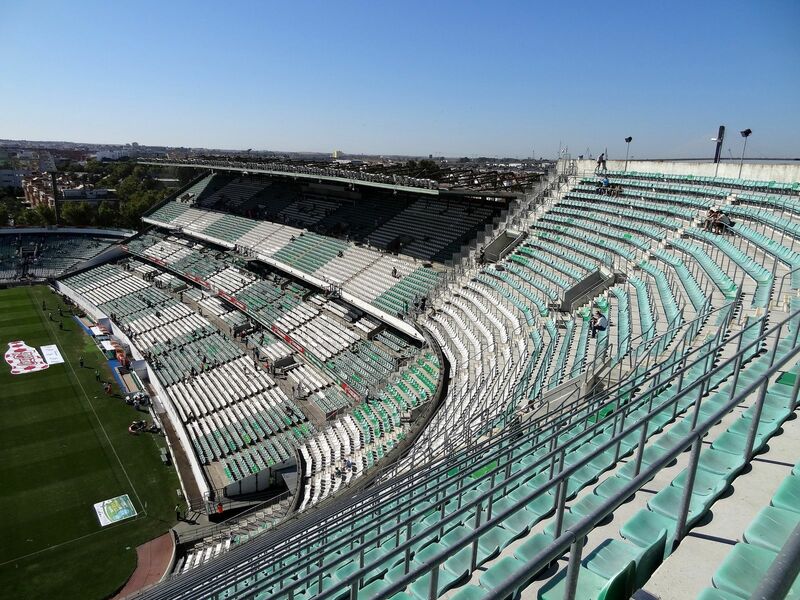 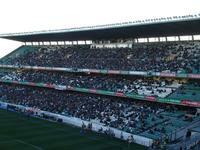 It took them just 9 months to deliver a massive grandstand for over 14,000 people. 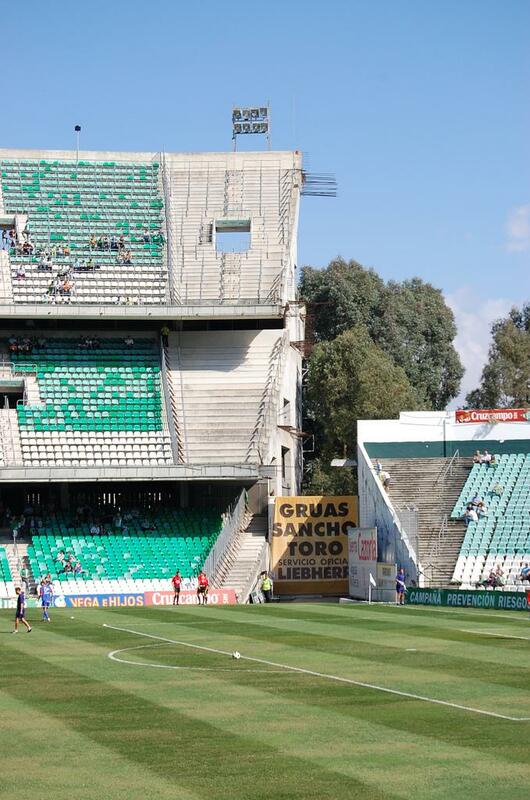 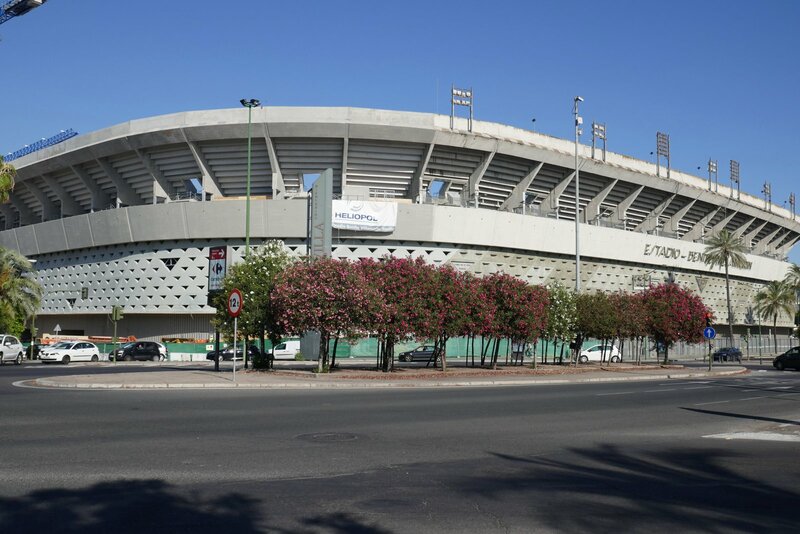 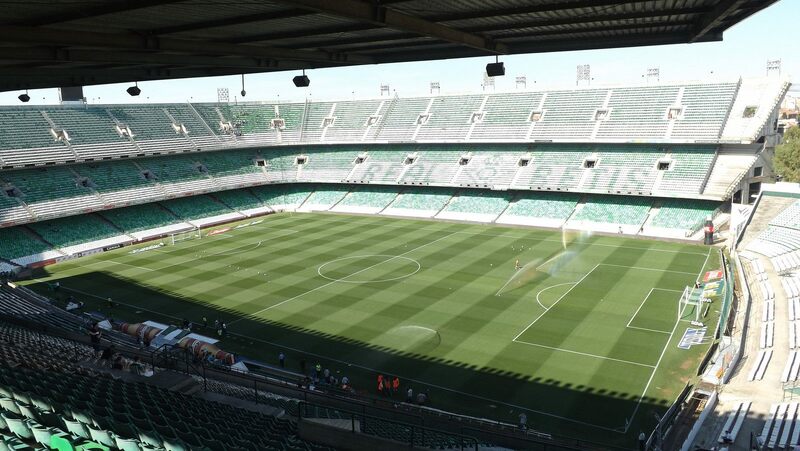 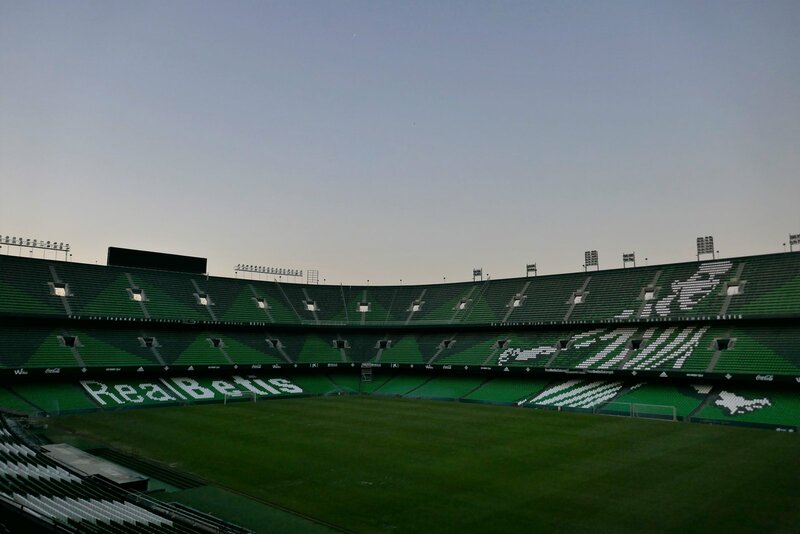 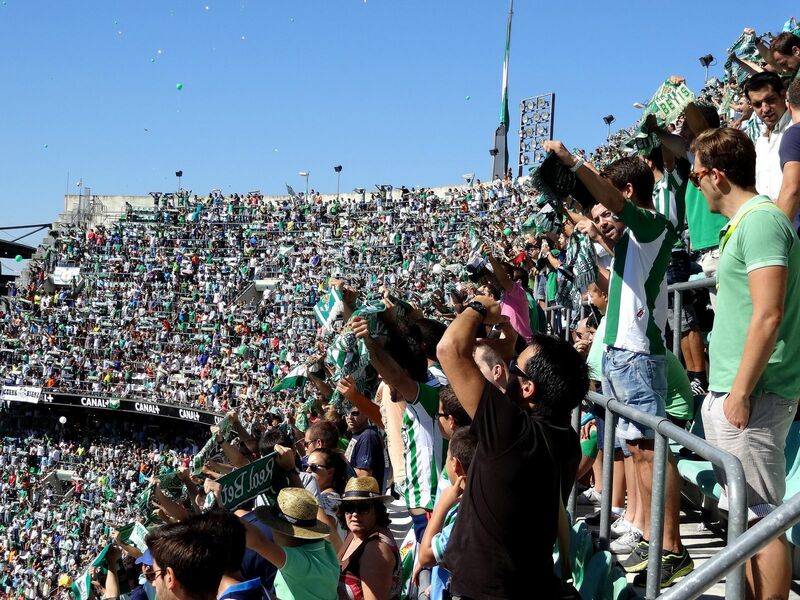 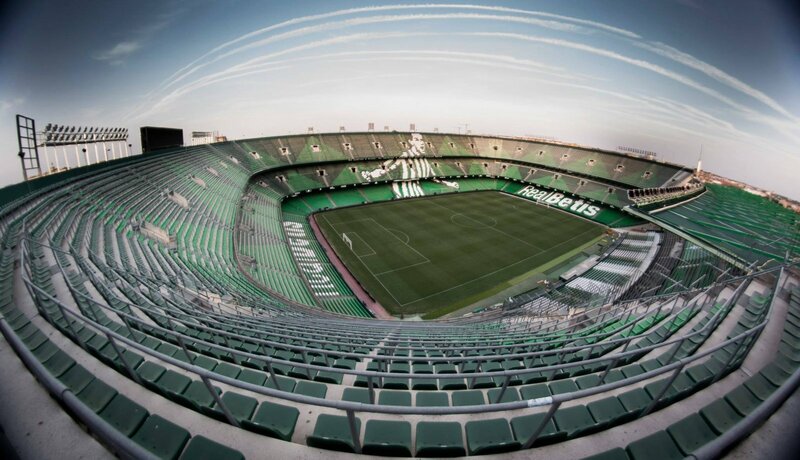 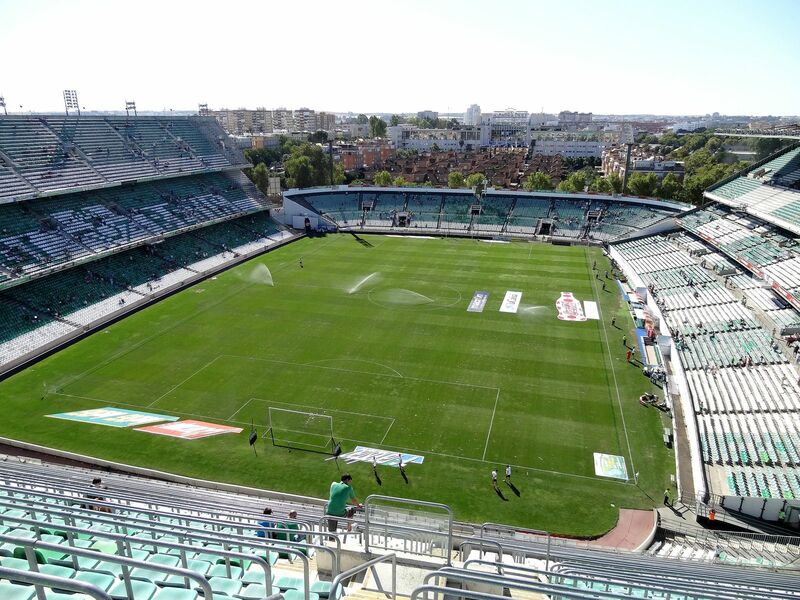 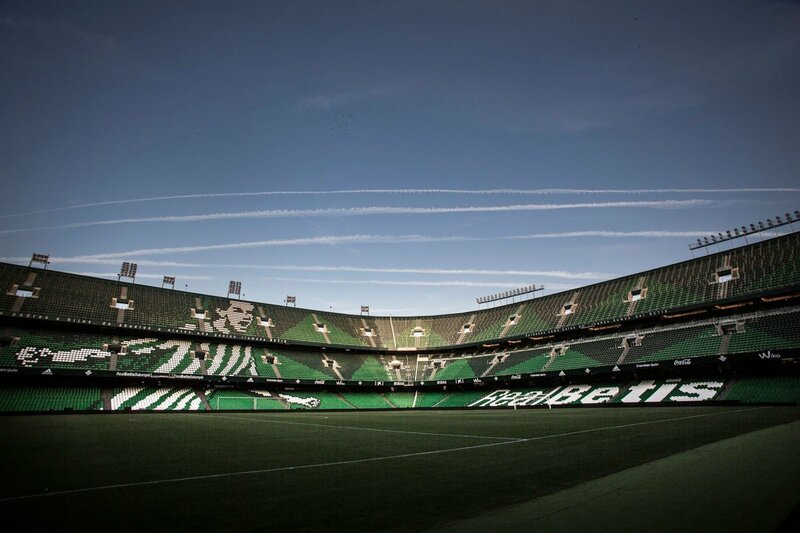 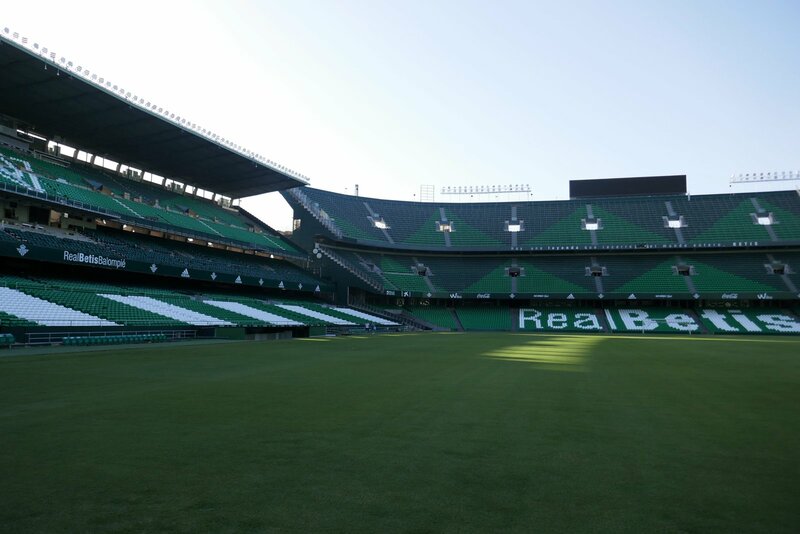 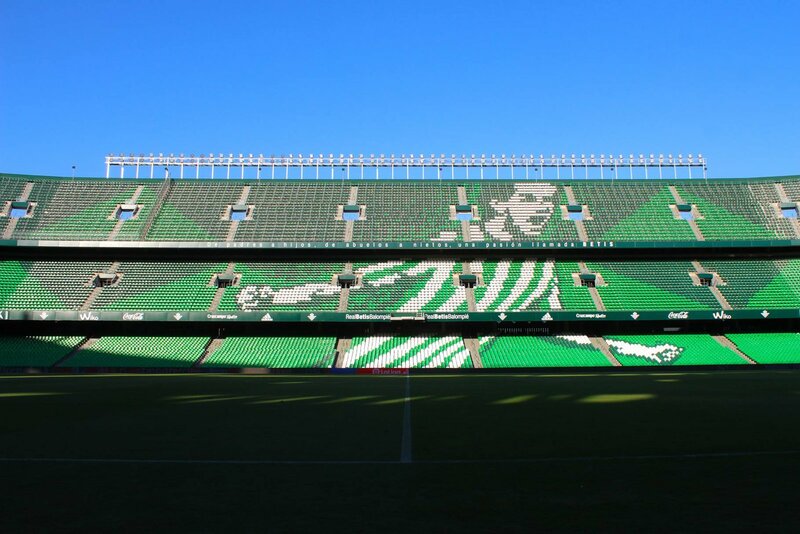 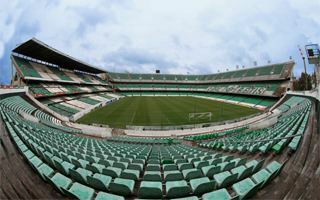 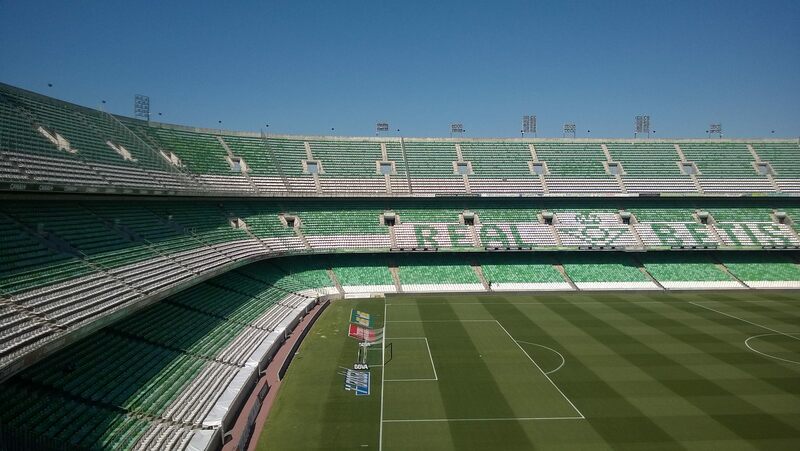 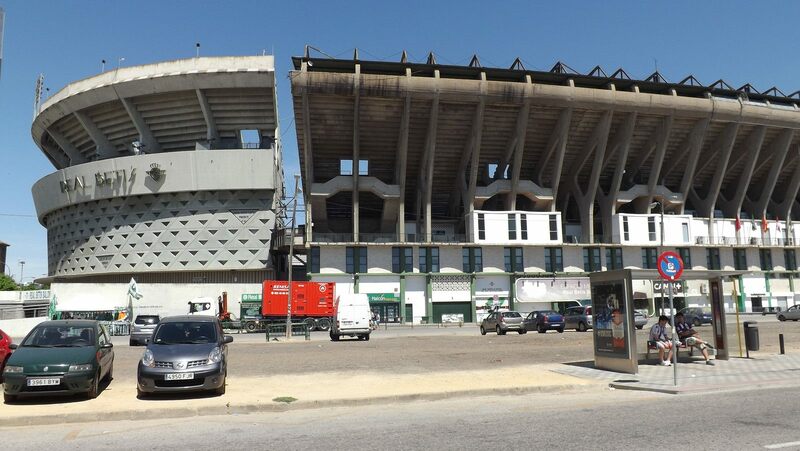 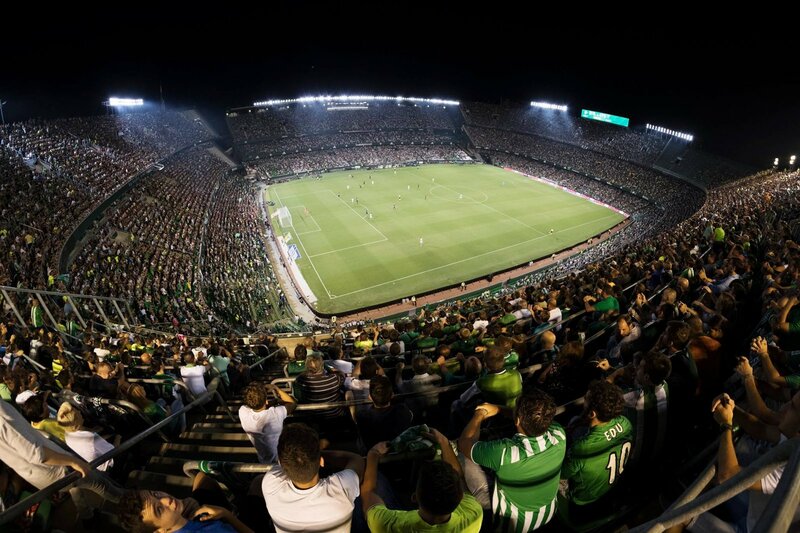 But there's a lot more changing at Betis' home ground this summer. 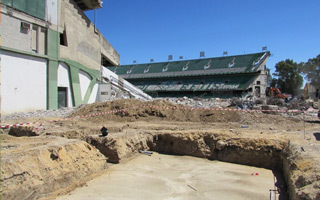 Demolition of the south end of Estadio Benito Villamarin has now ended. 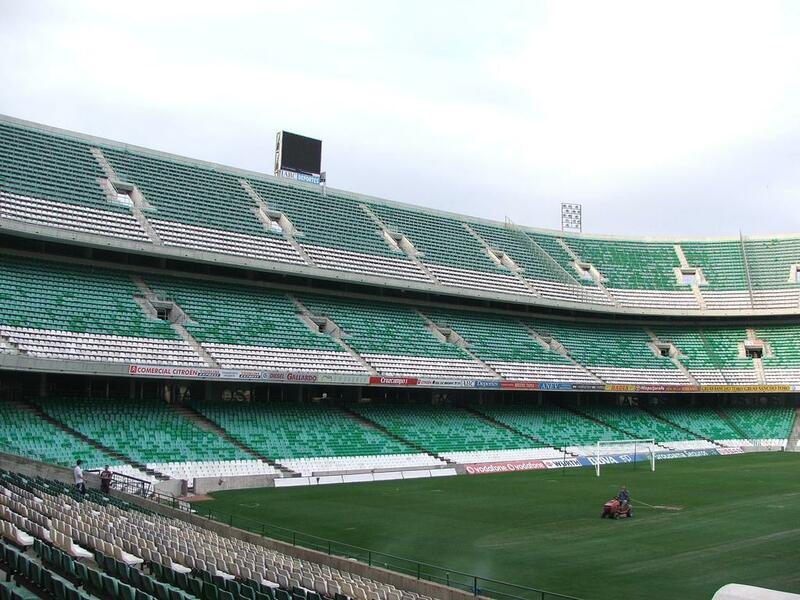 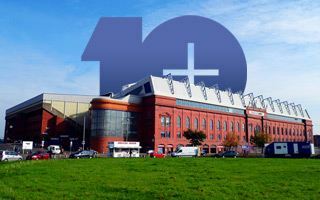 Tender for the construction of new one is underway, just like the season-ticket sales, slowly nearing a sell-out.